"Welcome! You've come to the card shop, PSY!" "Rekka's Love Love superior ride, Crimson Impact, Metatron!" The youngest of the three sisters comprising Ultra-Rare. Rekka is the most enthusiastic about her job, bringing service with a smile to the idol sisters' show. As the youngest sibling she also appears to carry out their menial work, greeting customers at the door and bringing them coffee. While initially she shows a positive view of him, Rekka's view of Suzugamori Ren changes rapidly as he approaches her sister and her in ride 49. Indignant over his using their shop as a rendezvous point, and having to prepare him coffee, Rekka flips her viewpoint once again when he draws her and Suiko into a vision of Cray. 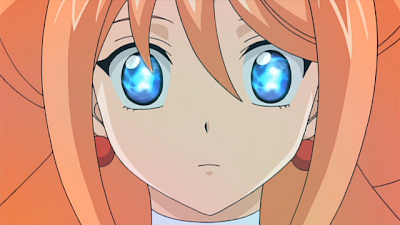 Rekka has little time to be amazed however, as Suiko almost immediately discloses the presence of another party at work in the season's events--this puts Rekka on edge immediately, but Suiko dismisses her fears. Rekka is present when Suiko contracts Ren his card of darkness, but as she appears to know the least of the three sisters about the events surrounding PSY Qualia, she otherwise plays a background role up until her possession in ride 64. 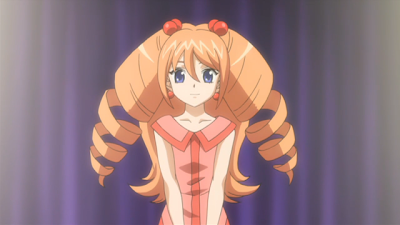 As the synchronization of Cray and Earth is put underway, Rekka is fashioned into "His" host, becoming a voice for Cray. Though she is apparently unconscious for the duration, Rekka unwittingly assumes leadership of PSY while "He" controls her, and attempts to alleviate Kourin's concerns for the Qualia bearers' rapidly decomposing sanity. It is also through her that this entity transports PSY to Cray in order to witness the planet's unity following the Royal Paladins' victory, personally thanking the other girls. Manga Biography: Though she has yet to make a proper appearance, in volume 6 of the Cardfight!! Vanguard manga, it is revealed when joining Aichi's class that her sister Kourin's surname is Tatsunagi, suggesting her to both be direct family to Tatsunagi Takuto and connected to the Tatsunagi financial group. As Kourin, Rekka and Suiko are all confirmed to be sisters, this also makes each of her siblings Takutos' family. Rekka fights with an Angel Feather2 deck, first seen in ride 69 of the Asia Circuit. Her deck utilizes damage-swap tactics to retrieve cards sent to the damage zone, and powerful heal skills that allow her to recover damage outside of checking heal triggers. This particular build is geared toward the Ray and Phoenix series, cards which gain power when other cards are placed into the damage zone, with Kiriel and her limit break as the deck's centerpiece. Later in the season Rekka incorporates Crimson series superior ride cards as support for Kiriel, increasing the soul to fuel her Lightning Charger's custom boost skill, while also providing an alternative ride of similar strength from Metatron and a way to bring out Kiriel into the rearguard from the damage zone. 1. "ウルトラレア." KeroKero Ace Vol. 45 1 Sept. 2011: 22+. Print. 2. Cardfight!! Vanguard Asia Circuit Hen Ride 68. 22 Apr. 2012.